This is not the normal sort of lost cat story. In fact, there may be some question as to whether the cat was really lost at all. 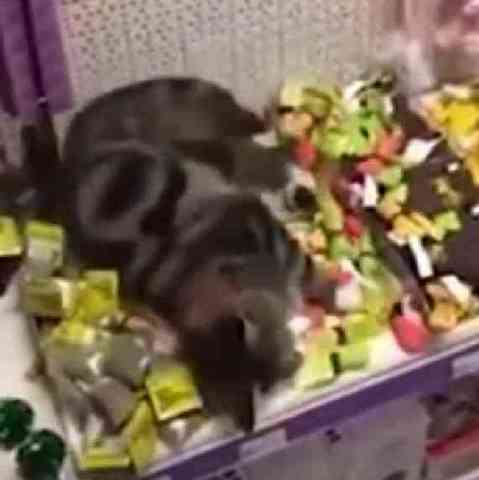 He wasn't far from home when he wandered into a Dutch pet store and quickly discovered the aisle with the cat toys. From there it was just a short leap to get into the catnip toys. Let's hope that this bad boy doesn't pass the word along to the other cats in the neighborhood or that pet store may be inundated with felines looking for their share of weed. Of course, if that did happen, it would be an epic level of cute!